Stay at Travelodge Bay Shore Long Island hotel for access to seaside delights like Fire Island and Jones Beach State Park, Southside Hospital, and numerous airports including Island MacArthur Airport (ISP), John F. Kennedy International Airport (JFK), and LaGuardia Airport (LGA). 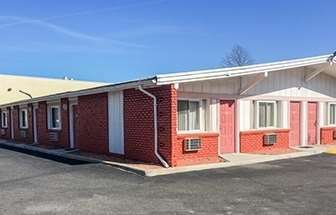 In addition to complimentary parking, complimentary wireless internet access and complimentary continental breakfast, this lodging facility features spacious guest rooms equipped with a microwave, mini-refrigerator, 55-inch flat-screen smart TV and ergonomic work desk, as well as suites with sofa bed and hot tub. Sorry, no pets.